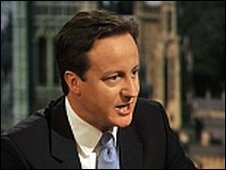 A relatively unknown actor has been cast to play Conservative Party leader David Cameron in a drama-documentary about the politician's early years. 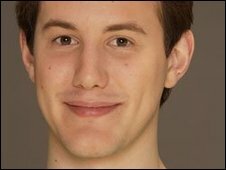 Jonny Sweet, 24, will star in the show which traces the roots of the current crop of Tory leaders in the late 1980s. Christian Brassington, who played Tony Blair in a 2005 drama about the former prime minister's student days, will star as London Mayor Boris Johnson. It has not yet been announced when the More 4 commissioned drama will air. Currently titled When Boris Met Dave, the programme will follow the men's time at Oxford University in the late 1980s. Mr Cameron and Mr Johnson were both members of the exclusive, all-male drinking and dining Bullingdon Club, which has a long reputation for trashing restaurants. Director John Dower said: "We have talked to those who knew them at the time to document the roots of the two men at the forefront of the current recovery of the Tory Party. "Everyone has seen the famous Bullingdon Club picture, but this film goes behind the scenes to find out what Oxford was really like for David Cameron and Boris Johnson." Sweet, a Cambridge graduate, has had minor roles in E4 comedy The Inbetweeners and BBC Three comedy Delta Forever. He is also about to take his one-man show titled Mostly About Arthur to the Edinburgh Fringe next month.